What do you do when your client doesn’t want to follow a UX Design process…but wants “UX”? Formal UX education is still hard to come by in most accredited colleges in the U.S. today, so many UXers are relying on industry experts to provide guidance via books, certifications, conferences and online education like David Travis’ UX Design course on Udemy to learn the UX process. 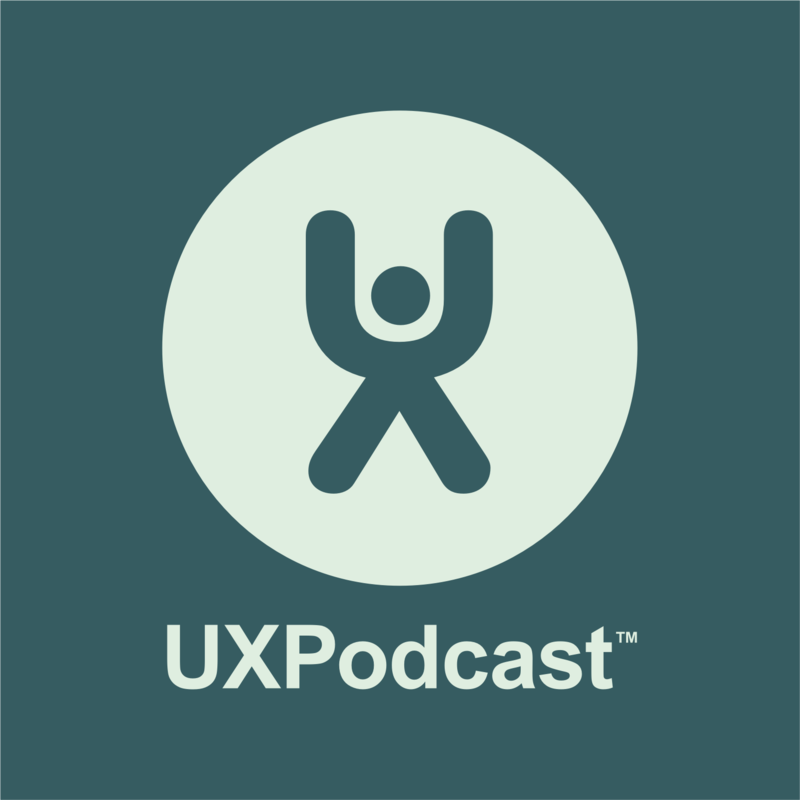 UX Podcast is also a great resource because a.) they’re hilarious, b.) they have hosted UX legends like Don Norman and Alan Cooper on their show, and c.) they talk about current challenges UXers face in the real world today. One of the challenges I spoke to them about recently was how UXers may struggle when they cannot follow the process they’ve learned to perform. In the same way a developer may learn an agile methodology like scrum, user experience designers typically learn a general methodology or user-centered design process. But if the company’s culture doesn’t quite understand how your methodology works, they may pick and choose parts of it to fit their business, or dictate something totally different. As a result of this, some UX job seekers may prefer to work with “new things” — new companies, new ideas, new startups, new products, etc., as opposed to coming into existing ones. There’s typically less resistance to UX in a new company or new product where you can become a part of the business strategy and help influence it, whereas an established product or company might bear more politics, red tape and strategic resistance, especially if that company hasn’t been exposed to the UX practice before, let alone embraces it or not. Understandable. But even in such dire circumstances, there may be some steps you can take to help your client improve its users’ experience, irrespective of their level of experience with UX, while building the appropriate relationship. Take the time to not only understand the project timeline & goals, but also understand the culture and personalities you’re working with. Have you met different members of the team? Has anyone worked with a UX designer in the past? Who seems withdrawn or resistant? Who has had the best ideas? What is the team looking for you to help with? What’s their understanding of UX? Who was the person who brought you on board? Why did they bring you on board? What did they feel you could bring? What ideas have you shared with him or her that go above and beyond their expectations? Can they help you evangelize the benefits of the different things you can offer? Identify someone to be your UX champion so you’re not alone. Based on what you’ve observed thus far, what tools, resources and work makes sense for your client? What items does your evangelist believe will work or will not work, and why? Can you formulate a plan that will help them achieve their goals within their timelines? Run this plan by your champion for feedback and input. Hopefully by this point you’ve determined whether you can provide value to the project and the company. If so, this is your chance to both educate and propose your plan. Be specific with the value and benefits you’re bringing, cost breakdowns, timelines, required resources and more. Know what can be cut and what really should not be cut in the event of time constraints. Remain positive and professional when negotiating the plan changes. So when a client seems resistant to your tools and process, take a step back and ask yourself a few questions: Is there only one way to improve the user experience of this product or service, or can you adapt to their way and still deliver value? Does your client understand the benefits that user research and usability testing can bring them? Ultimately, you and your client should share the exact same goal: to create a great experience for the user in order to be successful. If this isn’t the case, you have permission to run. Fast. You can listen to the conversation that inspired this blog post in the our 7th UX Podcast Listener phone-in via Soundcloud below. Gabe poses his question at 07:00 in. Gabe has been working with usability and user experience for over a decade. He begin his career at JPMorgan Chase, where he ramped up the UX practice for the Card Services division. After 12 years at Chase, he transitioned to the The Walt Disney Company in Orlando, Florida, and continues UX consulting on the side. He works with local companies in Orlando’s growing technology region, and recently became a Certified Usability Analyst by Human Factors International.